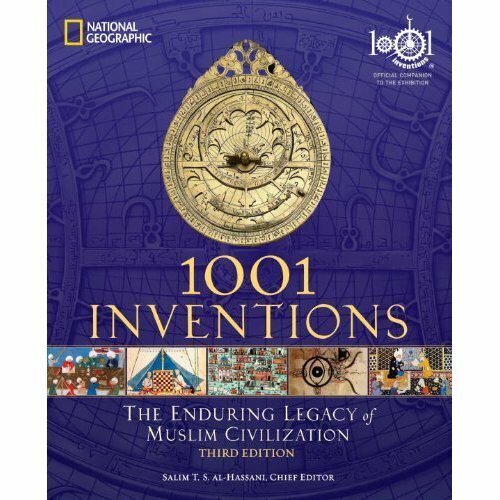 25th January 2012, Washington, DC – The latest edition of the best-selling 1001 Inventions book has been published by National Geographic, and will introduce the enduring legacy of Muslim civilization to new audiences in North America and the rest of the world. The previous two editions of the flagship 1001 Inventions publication sold more than 150,000 copies, with Turkish and Arabic versions also proving very popular. Modern society owes a tremendous amount to the Muslim world for the many groundbreaking scientific and technological advances that were pioneered during the Golden Age of Muslim civilization between the 7th and 17th centuries. Every time you drink coffee, eat a three-course meal, get a whiff of your favorite perfume, take shelter in an earthquake-resistant structure, get a broken bone set or solve an algebra problem, it is in part due to the discoveries of Muslim civilization. The society’s often overlooked achievements are shared in 1001 Inventions: The Enduring Legacy of Muslim Civilization, official companion to the blockbuster 1001 Inventions exhibition, which is currently amazing audiences at the California Science Center in Los Angeles. The exhibition is due to open at the National Geographic Museum in Washington, DC, at the start of August 2012. The House of Wisdom (8th-14th century), an immense scientific academy in Baghdad where an impressive collection of worldly knowledge was accumulated and developed, was an unrivaled center for the study of humanities and science. Jabir ibn Hayyan (722-815), known as the father of chemistry, worked in Iraq devising and perfecting the processes of sublimation, distillation, crystallization, purification, oxidation, evaporation filtration and others. He discovered processes for the preparation of hair dyes, leather and illuminating manuscript ink. Al-Zahrawi (936-1013), a physician and surgeon from Muslim Spain, wrote a 30-volume medical encyclopedia, giving detailed accounts of dental, pharmaceutical and surgical practices. He designed more than 200 surgical instruments such as syringes, droppers, scalpels and forceps. His book also described dyes that turned blond hair black, lotions for straightening curls and suntan lotion. Ibn Nafis (1210-1288), a famous philosopher and physician who was born in Syria and lived in Egypt, was the first to describe pulmonary circulation of venous blood passing into the heart and lungs via the ventricles. He was finally credited with this discovery in the early 20th century when his manuscript was discovered in Berlin. Sinan (1489-1588) was the master architect for the Ottoman Empire. He designed and built 477 buildings during his long career in the service of three sultans in Turkey. His work includes the Selimiye Mosque in Edirne, which has the highest, most earthquake-defying minarets in all of Turkey. His designs revolutionized the dome, allowing for greater height and size. The book's seven chapters are richly illustrated and provide insight into the everyday life of early Muslim civilization and the related and subsequent growth and progress of Western civilization. There is also an extensive reference section, a glossary of subjects and people, charts, timelines and maps illustrating the inventions and contributions, remarkable photographs, artifacts, historic documents and drawings. Copies can be pre-ordered now from all major retailers, including Amazon, and the book is due to hit the shelves on the 28th February 2012. The book releases in conjunction with the globally renowned 1001 Inventions exhibition, which will be on display at National Geographic headquarters from August 2012 through February 2013. The exhibition completed its record-breaking residency at London’s Science Museum in the first half of 2010, followed by blockbuster residencies at the historic Sultan Ahmed Square in Istanbul, the New York Hall of Science and Abu Dhabi. The exhibition is now at the California Science Center in Los Angeles, where, due to its popularity, it has been extended 10 weeks to March 11, 2012. Professor Salim T.S. 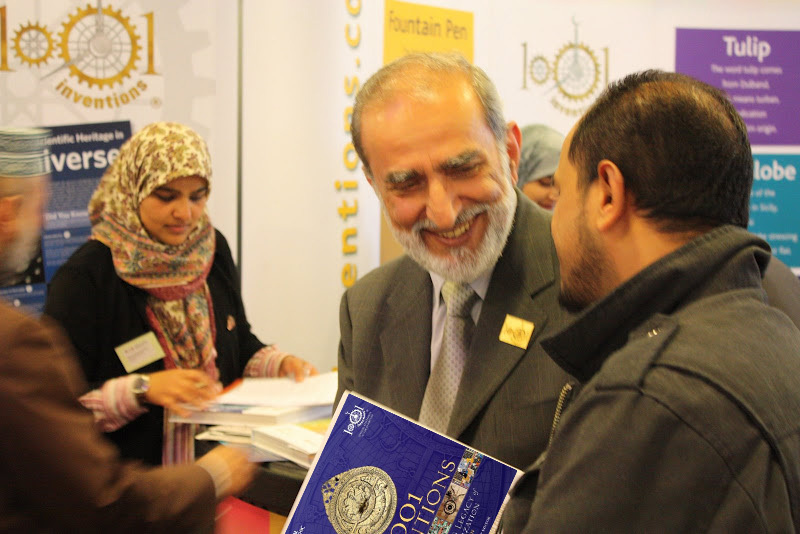 Al-Hassani, Chief Editor for the book, is Emeritus Professor of Mechanical Engineering at the University of Manchester, United Kingdom, where he is also a Professorial Fellow in the School of Languages, Linguistics and Cultures. He has published more than 200 papers in international journals and books and been the recipient of many prizes. In 1999, Al-Hassani founded the Foundation for Science, Technology and Civilisation (FSTC), a not-for-profit academic organization supported by a global network of historians of science, which supported the creation of 1001 Inventions.